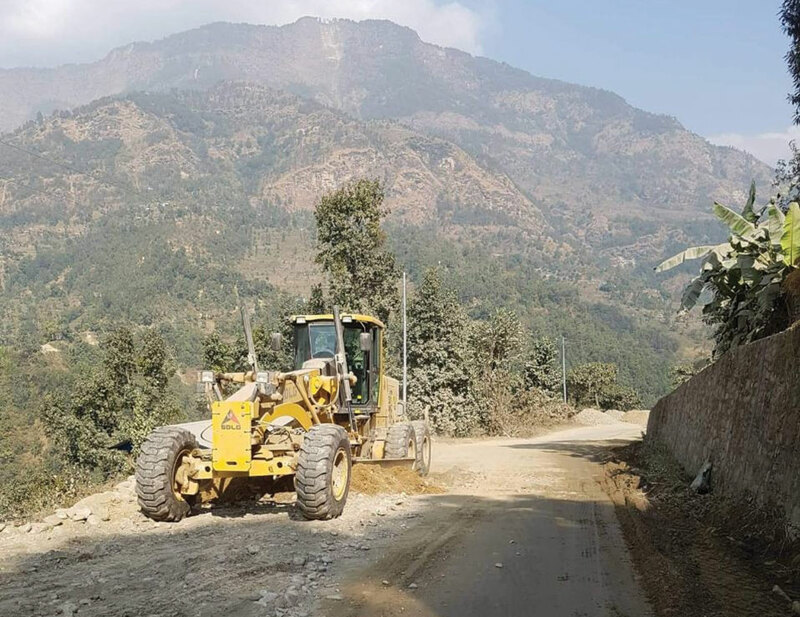 DOLAKHA, Dec 9: Following pressure from all stakeholders of the Lamosanghu-Jiri road improvement project, the contractors for the project did start the construction work but it is yet to pick up pace. While the contractor for one of the two packages of the project has made significant progress, the contractor for the other package has been too slow with its work. The contractors who had left the project in a limbo for three and a half years resumed their work only a few weeks ago after warnings from the Department of Roads and pressure from the locals. After its partner in the contract of the 25 kilometers long Khadichaur-Mude road widening project was sacked following tax fraud allegations, Gauri Parbati Construction Service, the lone contractor for the package has to carry out the works at a hastened pace. The company has completed the construction of the majority of the structures on the road section and the only works that remain are laying out the base and blacktopping the road. According to the engineer at the consultant company for the project, Abhishek Pradhan, Gauri Parbati has even completed the sub-grade works for kilometers of road. Subgrade works include peeling off the old blacktop and gravel from the road and leveling the road surface. Officials from the company have said that the company has already brought the needed 25 vehicles and other construction materials to the construction site to support a timely construction. “If we do not face any external problem, we will complete the construction by April,” Chief Engineer for Gauri Parbati Construction Service Dormani Paudel said. 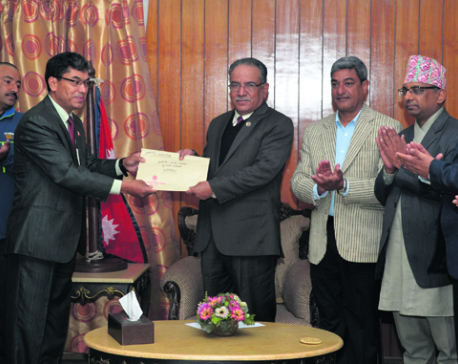 The contractor for the other package of the project, Shankar Mali Construction Service, however, has shown no satisfactory progress in the improvement works for 30 kilometers of the road section. The company has not even been able to bring the construction materials to the construction site. Although the company has brought a crusher at the site, it has not been able to operate the crusher. Engineer Pradhan told Republica that the company will bring the crusher into operation very soon. The 55 kilometers Charikot-Khadichuar road is a part of the Araniko Highway. The widening of the road had kicked off four years ago. The estimated cost of the project at the time was Rs 1.2 billion. For the last two years, the contractors have not worked on the project.